Earlier we posted a column titled “What Books To Collect,” which provided several categories of books or illustrators for various economic levels of collecting. Today and over the next couple of posts, we would like to discuss the state of the children’s picturebook collecting hobby, and provide some background information on the current market place. 1. There are only a handful of collectible children’s bookselling specialists, and many concentrate their efforts on older antiquarian material. 2. The number of children’s book collectors today is relatively small, as compared to the number we anticipate will participate in the future. 3. The majority of the adult population do not consider first edition children’s picturebooks to have substantial monetary value. The hobby is somewhat analogous to comic books and baseball cards during the infancy of the respective hobbies. I am not suggesting the value of first edition children’s picturebooks will reach the astonomical prices of rare comic books; only presenting the above as somewhat analogous situations. Hyperbole and I are not usually compatible. 4. The majority of elementary school teachers and librarians, the group closest to the hobby, do not consider children’s picturebooks to have substantial monetary value. 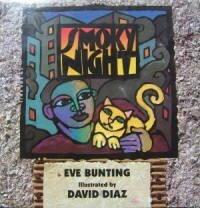 Not only are elementary school teachers and librarians the closest to the hobby, their reading recommendations and ‘prescriptions’ to children and parents, gained from knowledge, experience, and collegial associations, determine the long-term publication success of many of the books the hobby defines to be collectibles. 5. 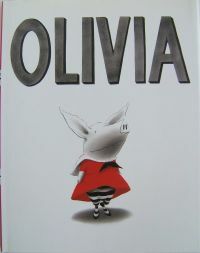 The current contemporary children’s picturebook market is very Seuss-, Sendak-, and Caldecott-centric, the Big Three. The high market value of their first editions has seeped into the knowledge base of general bookselling (i.e. not limited to children’s books), therefore many, many booksellers are aware and on the lookout for examples. However the non-specialist children’s booksellers do not get much deeper than the aforementioned Big Three. When one takes a bird’s eye view of the current state, I think the hobby will eventually place greater emphasis on ‘years-in-print‘ and ‘copies sold‘ as measures of collectibility and desireability. 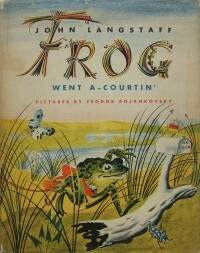 The important collectible picturebooks are those which have stayed in print, unadulterated, for decades. Consider Madeline, in print for 70 years, and still being read by today’s children. How many other ‘things’ are enjoyed, unchanged, seventy years after the original publication? A quick glance at Publisher’s Weekly list of all-time bestselling children’s books will show a plethora of classics which have sold millions of copies, been read to or read by tens of millions of children, and unchanged after decades. rsquo;s The Mitten, or Janell Cannon’s Stelleluna, or Marc Brown’s Arthur Goes To School. And so forth. · Each of these books are underappreciated in the current state of the hobby – books barely considered collectibles, and then by only a handful of collectors and booksellers. Yet, I would wager, each of these books will be in print for decades hence, to be enjoyed by millons of more children and parents in the years to come. What is the future worth of these first editions? Several weeks ago we posted a column on ‘Factors Affecting Collectibility,’ identifying six key factors which impact the desireablity and value of a children’s picturebook. These factors are our personally developed list of factors, and as yet have not been vetted within the hobby. They are, how shall we say, in development. The astute collector can leverage this period of development by focusing on books not yet held in high regard within the collectible picturebook market. What can you do? Develop your own list of factors, factors currently under weighted in the market, and target those books and types of books (the prerequisite being the books are appealing to your personally). Currently, in its state of infancy, i.e. disjointed development, the collective intelligence of the ‘hobby’ is not nearly as smart as the astute collector. As more is written within the hobby, and knowledge shared, this gap will narrow, quickly, as the hobby matures. The collective intelligence of the children’s picturebook market will overtake that of the individual collector. But that is not today. Next: State of The Hobby, Part II: Where Have All The Books Gone?